I like scary movies. I loved the I Like Scary Movies Experience. Where else can you get amazing photos inside of your favorite scary movies to post on your Instagram and create a serious FOMO for your friends? This is THE place. I actually recommend bringing at least one friend for companionship (and to help take photos). There are five films represented at the experience: The Shining, The Lost Boys, Beetlejuice, It Chapter One and, Nightmare on Elm Street. You can experience take pics riding the tricycle in the Overlook Hotel or getting grabbed by a giant Freddy glove. I especially liked the Beetlejuice room, even though I am not much for foam pits personally. The photo ops are creative and fun. On January 1st I was busy eating healthy food and celebrating #NewYearNewMe when I received an odd message from someone called Bl4ckM4ss. I had been specifically selected to experience a new reality? Respond with my interest? What does that mean?!?!? I received a date, time and secret location with instructions to arrive alone wearing clothes I didn’t care about. Honestly I was a bit uncomfortable with the whole thing. Was this another immersive/ARG/extreme haunt…or was it some actual crazy cult group or psycho killer’s elaborate plan to torture and kill me? No-one seemed to have heard anything about this Bl4ckm4ss aside from their social media presence. So I did what any sane person would do and showed up alone. I still don’t know who’s behind Bl4ckm4ss, but I survived to tell you about it. However, they specifically asked that I not give away too many details since it is an ongoing experience. Bl4ckm4ss is a “new augmented reality” but the waiver and initial email reminded me of an extreme haunt. It is not as physical as an extreme haunt, which is good because I don’t really enjoy extreme haunts. I have a few lingering injuries that prevent me from attending anything too physical. I was easily able to do this event without injuring myself further. However it is quite intense at times. I appreciate the invitation to step out of my comfort zone. It was a great way to begin the new year, a short journey in self discovery. I’m looking forward to seeing what they do next. Who is BL4KM4SS? We are augmented reality. We give guests a theatrical immersive experience. Creators- We are BL4KM4SS. You ask, we provide. Current Show- “a Prelude”- accepting applications for interested parties. DATES: February/March – By invitation only. Contact Info- bl4km4ss@gmail.com for an application to be considered for future shows. Cost?- “a Prelude” will be $50 per person, Approx 1 hour solo show. 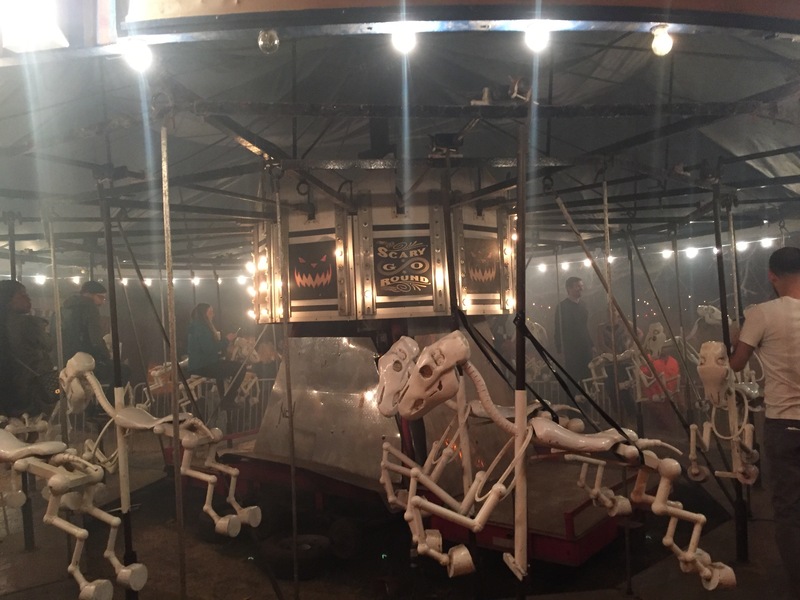 Growing up in the midwest hayrides and tractors were a bit more commonplace, but the idea of a haunted hayride in the middle of Los Angeles is unique. 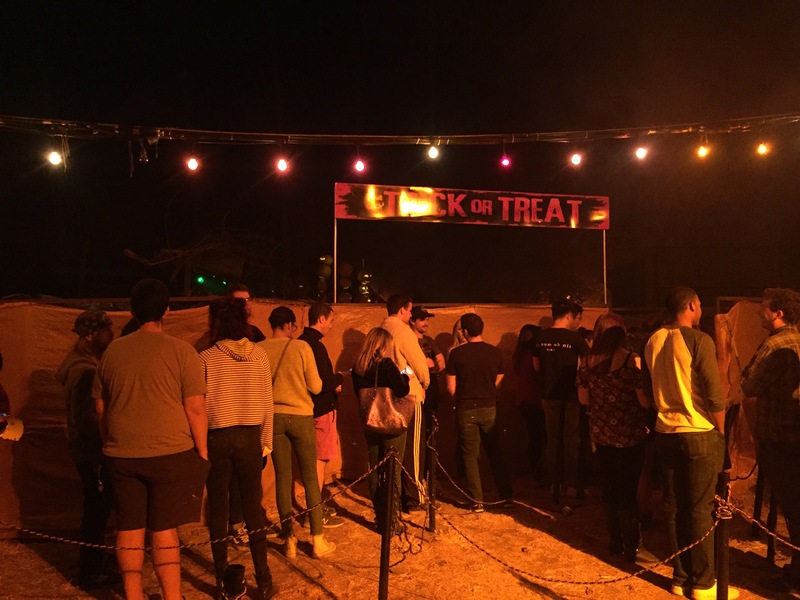 The Los Angeles Haunted Hayride is located in Griffith Park near the old zoo area. 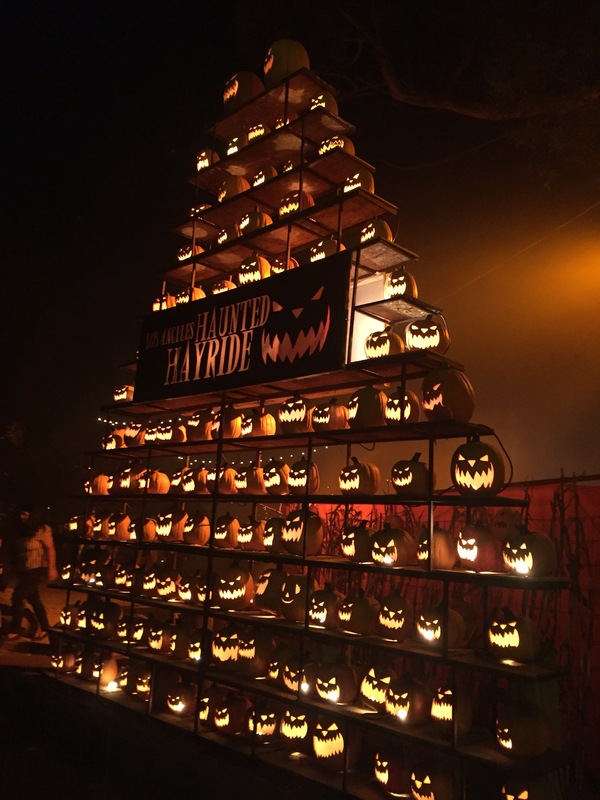 The hayride, dark maze and trick or treat area are the three main haunted attractions at the event. There are also food vendors, psychics, entertainment and a creepy carousel. 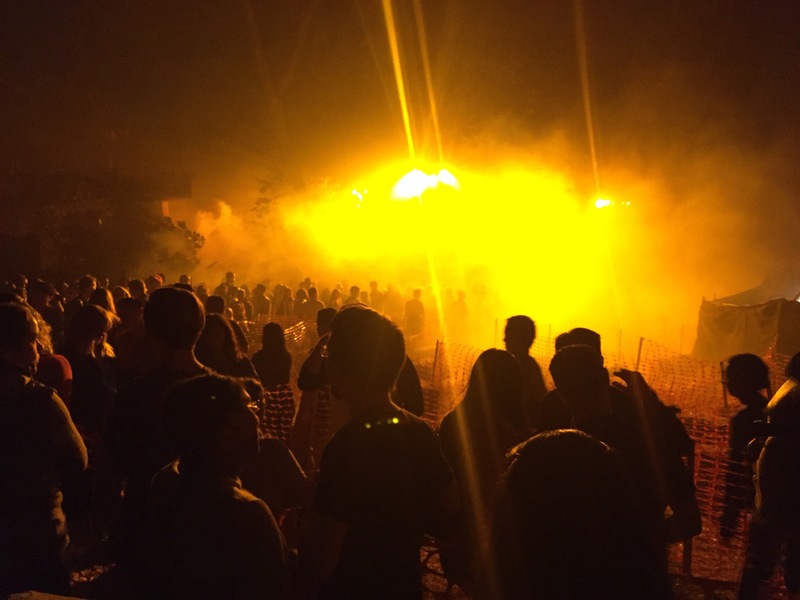 LA Haunted Hayride is a fun event, however 2017 was not their strongest year. The clown theme was interesting enough, but not very original. I liked their use of the old zoo area and incorporating the animals. The oversized marionettes were fun. The guy on the motorcycle looked cool. Overall the hayride didn’t deliver those stunning staged scenes I have come to expect from this event. This year it seemed a bit lighter on actors and the scares seemed to be focussed primarily on jumping on the wagon or stalking guests a little too long along a sparsely decorated path. The House of Shadows maze is a dark maze with a handful of actors that work very hard at jump scares. It’s a fun place to get lost with your friends. There are a few dimly lit scenes within and some writing on the walls to “help” you to the correct path. There was a half deflated airbag effect that was less than effective. It isn’t the scariest or prettiest maze I’ve seen, but the idea of getting lost in an actual maze is quite fun. Trick or Treat was the only attraction that made me put away my camera specifically saying “no lights, photos, videos, snapchat, instagram, etc while inside”. I wondered if that was so the poor quality of the attraction wouldn’t get plastered all over social media. It was a lot of fun the last time I did it…actually one of my favorite things in Los Angeles because of the creativity of trick or treating at the homes of different creatures. 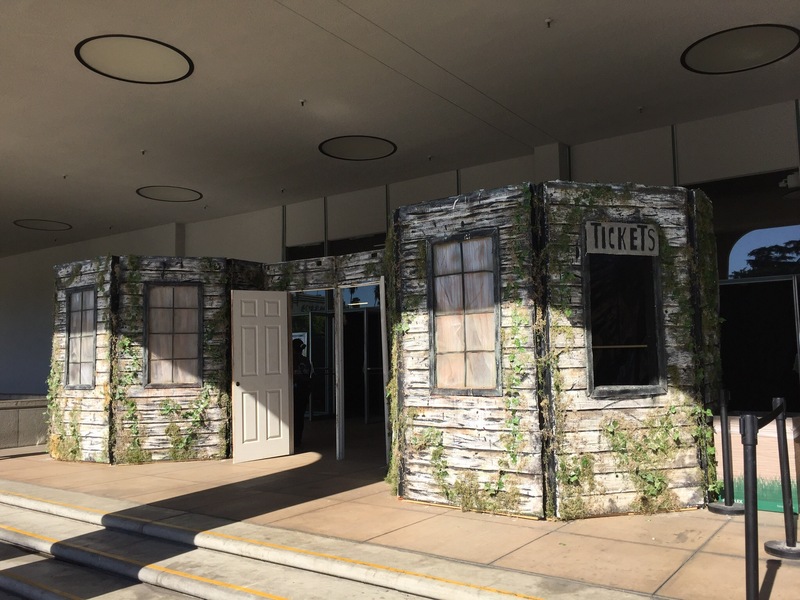 This year the set looked like it needed some touchups, the actors weren’t behind their doors to answer the knocking and there was no candy for the trick or treaters. It was a series of awkward moments where we would knock on a door and wait, then an actor may or may not appear to try and do some sort of jump scare that we were literally standing around waiting for. It seems to have lost motivation for Trick or Treat when they removed the Trick or Treating element from the attraction. ​Overall this year was disappointing, but I still look forward to seeing what they do next year. I hope it is a fun theme and they reignite that spark of creativity that I have enjoyed so much from them in the past years. Have you ever wondered how you would react if you were the character walking through the spooky house alone in a horror flick? Now you have the chance feel what that is like. Into the Black at the Los Angeles Fairgrounds in Pomona California is a new Halloween event for 2017. It is a three part adventure in that there is a short movie, VR experience and walk through haunted house that all work together to tell the story. You can watch the movie on YouTube before attending the event. The VR experience is a fun short adventure into the past to meet the characters of the home and find out a little more of the history of the house and it’s former residents. 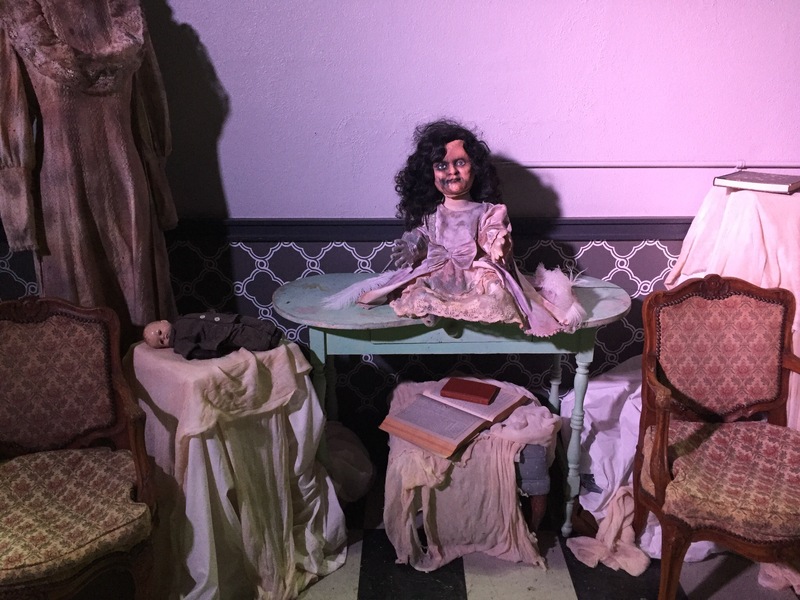 The haunted house is an individual experience inside the house which we have now gotten quite familiar with. Overall, it’s a creative, fun and unique event. The haunted house is beautifully designed and truly feels like it’s own character. One of my favorite things about the design is the use of space. I enjoyed the large room scenes in combination with the claustrophobic hallways. I also love that there are choices to make within the path. The make-up is amazing, of course. Afterall, Larry Bones (Boneyard Effects) is an incredible make-up creator. The hardworking actors are perfectly placed to build tension and then pounce. The sound design is also wonderfully done. I loved the moment when I was following the sound, but could barely see anything. Everything works together so well to create a fresh style of psychologically thrilling experience. You can more of my thoughts in the YouTube video below along with my husband and short interview with Larry Bones.